This Carry-On bag has been sizer bin tested to accommodate overhead bin space on most major US airlines. Fully expanded Carry-On may not meet airline restrictions. Built for high-mileage travel, our durable ball-bearing inline wheels are tested to ensure the smoothest of rolls. Crash-guard wheel housing and skid guards provide protection over the long haul. 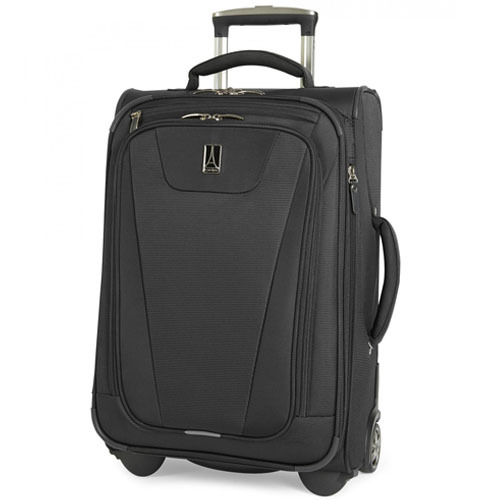 The Travelpro Maxlite 4 22" Expandable Rollaboard is perfect for today's pleasure travelling. This rollaboard is made with polyester fabric with water and stain resistant coating and unique bottom tray aligns and stabilizes wheels for effortless maneuverability and enhanced durability. The honeycomb frame provides lightweight durability. The unobtrusive top, side and bottom cushioned carry handles provide multiple carry options and it has 2 inches of expansion capacity. The airline grade aluminum handle locks in two positions 38" and 42.5" to ensure a comfortable roll for users of different heights. It has full length front pocket with built in ticket pocket for last minute items. The Maxlite 4- 22 Inch Rollaboard -Black has many exciting features for users of all types. You can extend the lifetime of your Maxlite 4- 22 Inch Rollaboard -Black with the purchase of a FactoryOutletStore Factory Protection Plan. See the Maxlite 4- 22 Inch Rollaboard -Black product video above for more details. FactoryOutletStore stocks a full line of accessories like Anti-Theft Camera Bag Protector, Anti-theft Rfid Blocking Neck Pouch, and Anti-Theft Stashbag 4L for the Maxlite 4- 22 Inch Rollaboard -Black. 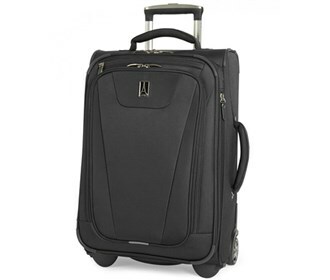 The Maxlite 4- 22 Inch Rollaboard -Black is sold as a Brand New Unopened Item.